Our 5 x 8 inch white ABS PA speaker is completely weatherproof. It features stainless steel hardware and an adjustable ABS plastic base that pivots 90 degrees. 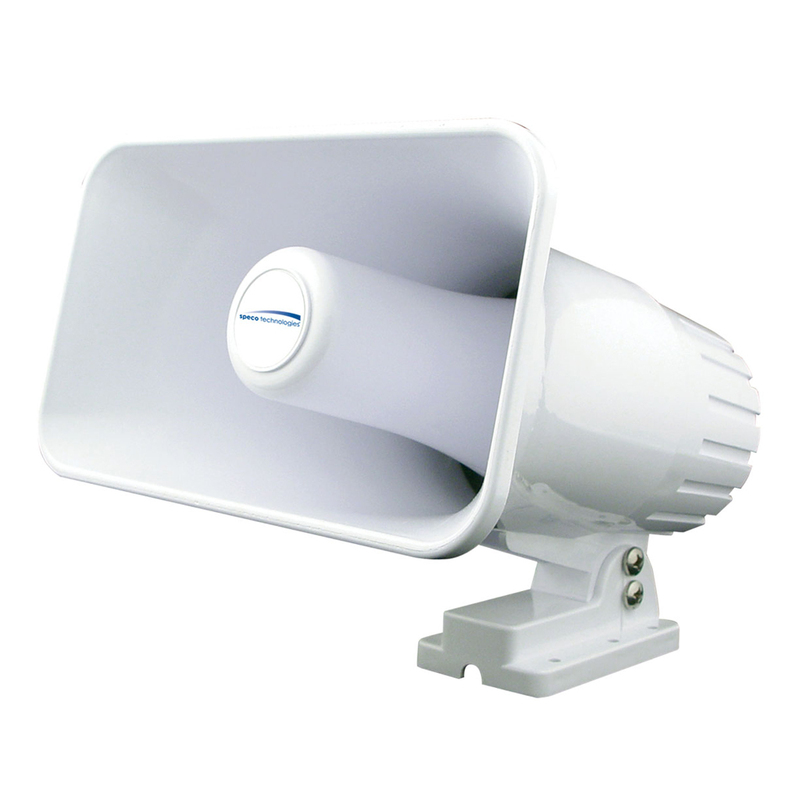 It offers a frequency response of 200 to 15,000 Hz with a 15 watt nom/30 watt maximum power rating. It features a 105 dB sensitivity and an 8 ohm impedance.